If you are sitting on a stash of Nectar points, there is an interesting offer at the moment which can get you 1p per Nectar point. This is double the usual redemption rate and so well worth having. It is targeted, but widely targeted. You need to look at the offers section of the Nectar app or log in to the website to see if it is there. Redeem Nectar points for an LNER trains e-voucher before 19th December and you will 50% of the points back. 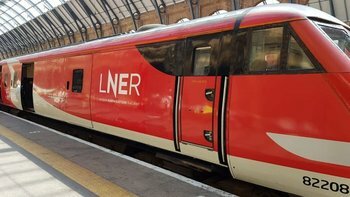 LNER e-vouchers are valid for “at least” 12 months after you’ve added them to your LNER account. They can ONLY be used on LNER Advance tickets, Standard or First. Given how hard it is to get more than 0.5p per Nectar point, this offer is worth a look if you are a regular LNER traveller. Do not redeem unless you see the offer in your Nectar account, however. Radisson Blu and Park Inn have launched their latest ‘Dream Deals’ sale. The sale covers 350 hotels across the Europe, Africa, America and the Middle East. Participating brands are Radisson Blu, Park Inn, Park Plaza, Quorvus Collection and Radisson RED. The home page for the sale is here. The standard saving is 30% off Best Available Rate, although your actual saving will be lower as these are non-refundable rooms and you should really compare it to the previous non-refundable price. You need to be a Radisson Rewards member (free to join) to get the full 30% discount – the non-member discount will be 20%. The stay must be paid for in full at time of booking. Even better, Radisson Rewards members get 2,500 bonus Goldpoints per stay in addition to the standard 20 Goldpoints per $1 spent. We would value these bonus points at £7-£8 which makes a real extra impact on cheap one-night bookings. These “Dream Deals” need to be booked before 21st December. You need to stay by 10th March 2019. You can find out more about Dream Deals on the Radisson site here and on the Park Inn site here. voco is IHG’s latest hotel brand. We discussed it in this article when it launched. Voco is to be an ‘upscale conversion’ brand, allowing existing luxury hotels to switch to IHG without needing to undertake expensive changes to meet the brand standards demanded by Holiday Inn, Crowne Plaza etc. It only seems to require the hotel to put in a lot of yellow furnishings 🙂 You can learn more about the brand here. One of the first voco hotels is the St David’s Hotel in Cardiff, which IHG acquired when it bought Principal Hotels recently. Here is the voco St David’s website. voci has just added a new property in Dubai. It isn’t one I’d ever heard of, although keeping track of Dubai’s ever-changing hotel scene is beyond the ability of mere mortals. The Nassima Royal Hotel on Sheikh Zayed Road will soon be voco Dubai. Looking at the Nassima website here, the hotel looks very smart and very funky. Don’t get too excited by the mention of beach views – that is mainly due to the fact that it is 51 stories high and not because it is near the beach! voco Dubai is not yet bookable, and IHG is saying that rooms will be available from 1st April. The voco Dubai website is here but, with little information, you should use the Nassima site instead for now. +1 and my Marriott 29 days to stay too!